A guilt-free space to make music at home is possible, if you only look outside. A garden music studio is absolutely the answer. All to often, practicing your music craft at home is met with the frustration and anger of your house-mates. As fed up as they are of having their day interrupted with your incredible talent, you are just as fed up of hearing how fed up they are. Creating a distinction between home and hobby can be the best way to achieve balance at home. And what if your music passion is your profession? Our customer James is an award-winning composer for film, tv and game. James needed a professional space that he could call his own where he could be free from distractions, where no noise would come in or out. 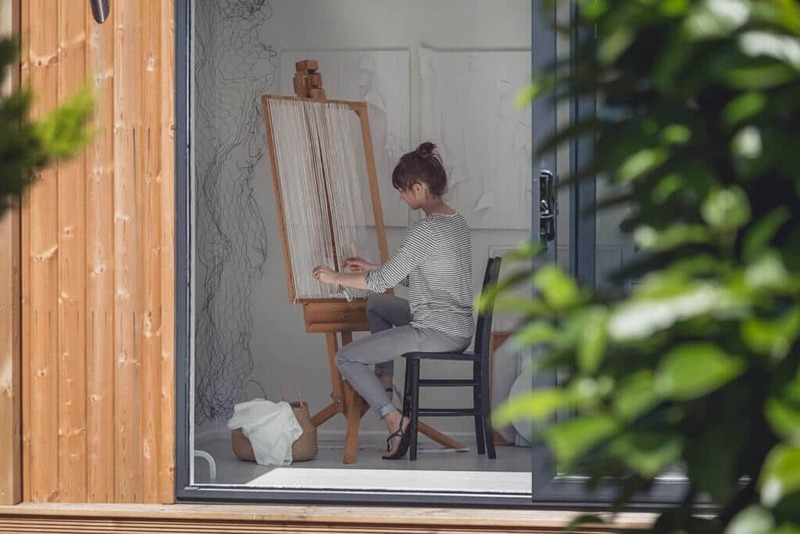 A garden music studio from Green Retreats offers the perfect solution. 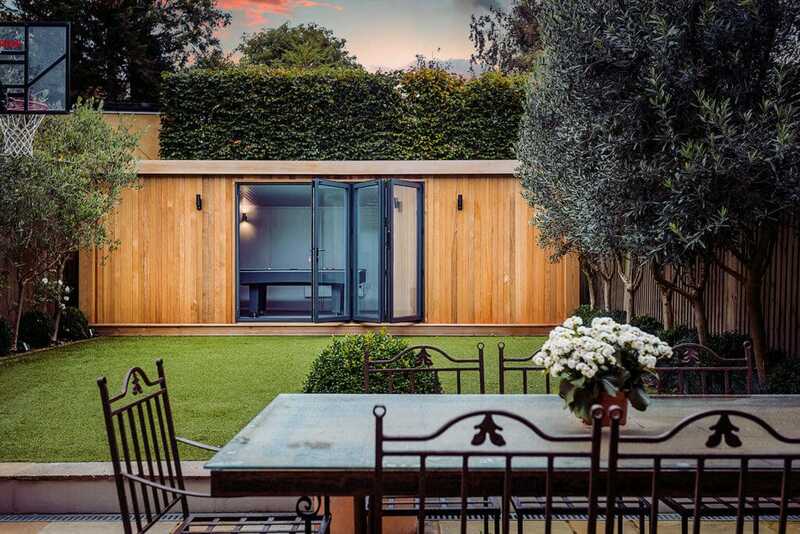 Our garden rooms offer an acoustic pack which reduces sound by up to 45db, making a considerable reduction in the transfer of sound (not sound proof, but significantly reduced). With a build time of 1-5 days it’s ideal for our customer with a busy lifestyle. The 2.5m x 3m Inspiration garden room supplies enough room for all the recording equipment, and instruments. The single half glazed door is the best option for reducing noise. With a newly built garden room, our customer James can now immerse himself into his work without household clutter, disruptions or street noise.